Sit down with legends, risers, songwriters, session musicians, industry execs, etc., as they recount their biggest hits, past failures, battling addictions, racism, sexism, bankruptcies, foreclosures, and even homelessness to get where they are today. 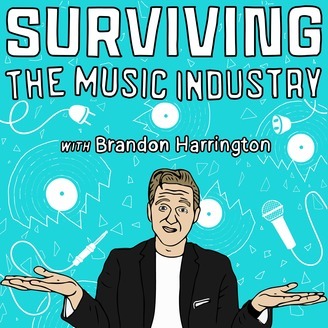 All the while host, Brandon Harrington, is still surviving the music industry. Few people have the power to have you lock in with who they are within the first handshake. Kassi Ashton is one of those musicians that when she enters a room, you know there’s something. Pretty Shiny Things, her latest release, gives you a depth of her that you may not have even noticed when this California, Missouri native first busted on the scene. 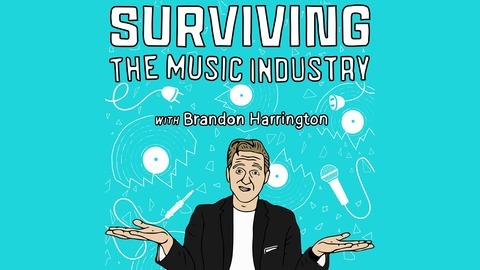 In this sneak peek to all new episodes we talk about the ugly truth of validation, breakdown her recent releases, and her view of the relationship between music and the radio business. Kassi Ashton is a Missouri native with a California, L.A. vibe. So I guess being from California, Missouri makes perfect sense…almost. Going through the motions of high school and thinking about college landed her in Nashville, Tennessee’s Belmont University studying voice. After winning the Country Showcase hosted by the university, life quickly involved publishing deals, record contracts, and writing songs. The Huffington Post gives Kassi “mad props for her songwriting and stage presence” while CMT calls Kassi “fearless” and notes “her point of view is inspired and her storytelling knows no bounds.” This still remains constant with Ashton. With recording and writing songs for herself, there’s no way she’s slowing down or changing who she is. We like that. Named “Who to Watch” by Huffington Post, The Tennessean and radio personality Bobby Bones’ Class of 2018, Kassi also caught the attention of country superstar Keith Urban. Describing her as “such a unique, original creature,” Urban featured Kassi on his song “Drop Top” for his latest album Graffiti U. Be sure to follow Kassi @kassiashton and visit www.kassiashton.com for tour dates and merch swag.